Nevada is a rangeland state, our state flower is sagebrush. With few exceptions, (unvegetated playas, large lakes, mountain tops, cities, and a bit of cropland) this most arid state supports indigenous or introduced vegetation that is managed as a natural ecosystem. Most of it is either grazed or has the potential to be grazed. Over 250 mountain ranges each vary in their vegetation across differences in elevation, slope, aspect, climate and soils. Major vegetation types include alpine, coniferous forest and woodland, mountain brush, sagebrush (big, low, black and others), low or salt desert shrub, aspen or cottonwood, willow or alder riparian areas, mountain meadows, marshlands, Mojave Desert types, and introduced annual grasslands. 7000 miles of rivers and streams mostly flow into closed basins characterized by salt flats, or saline lakes. Only a few escape the Great Basin by flowing to the Columbia or Colorado Rivers. Nevada rangelands support ranching, most of the Nation’s wild horses, big game and small game hunting, fishing, wildlife viewing, motorized and non-motorized recreation, military training and testing, and it is the neighborhood back yard to most Nevadans, including those whose ancestors lived here when many of the basins were filled with glacial melt-water. 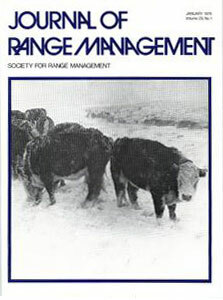 Nevada Rangelands is a project of the University of Nevada, Reno Libraries, the Nevada Agricultural Experiment Station, and University of Nevada Cooperative Extension. 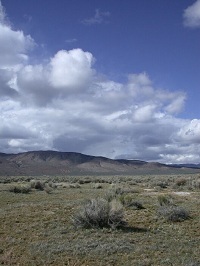 This site is a component of Rangelands West and the Rangelands Partnership. AgNIC is a voluntary alliance and partnership of 60+ institutions and organizations working to offer quick and reliable access to quality agricultural information and sources.